The hotel is minutes away from Bangkok's famous nightlife district; Patpong and Silom Soi 2 & Soi 4 as well as shopping destinations; Siam Paragon, Central World and Platinum Shopping Mall. 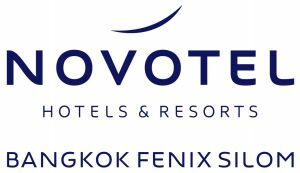 Featuring 216 of Novotel's newly-designed guestrooms and suites,boasting serene comfort with spacious contemporary design, practical amenities and stunning views of the Bangkok skyline. For recreation, there is an outdoor pool, fitness center and relaxation area.